As some of you may know, I am an avid reader. This time around, I just finished reading the sequel to the hugely successful memoir, Eat, Pray, Love. In my eyes, Elizabeth Gilbert is a very talented and expressive author whose work always resonates with me. In her first book, Gilbert not only explored the inner torment of following a difficult divorce, but also the mind’s ability to mend itself and move on. 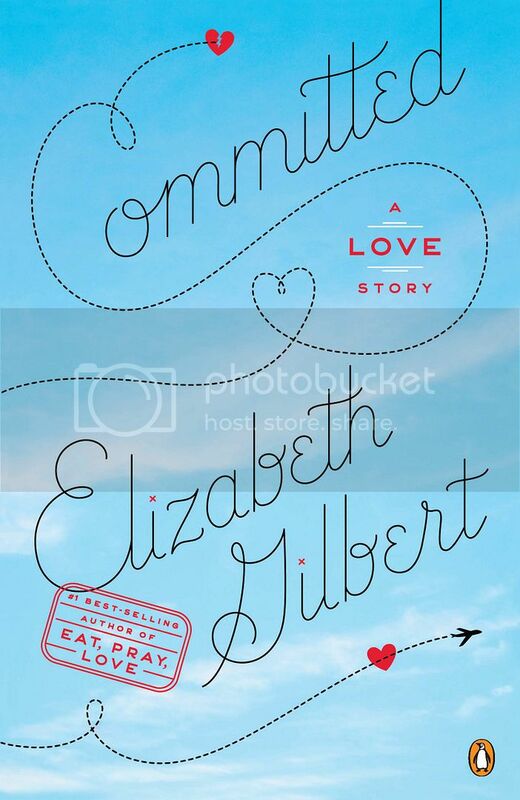 With her breathtaking descriptions of Italy, India and Bali, her ability share the most dramatic moment with a hint of humor, and her unyielding optimism, Gilbert’s first book has guided thousands of women through heartbreak. In her second book, Gilbert looks at the institution of marriage from the perspective of a modern woman and a critic. The book starts off by outlining Gilbert’s discomfort in dealing with marriage. When her Brazilian lover, Felipe, is denied entry into United States, she is faced with the ultimate dilemma of losing her love or getting married. Both Felipe and Liz are divorcées, and the thought of going through another bad marriage is dreadful. This book is Gilbert’s adventure of learning the history behind holy matrimony and exploring her personal doubts about it. Overall, Committed is incredibly written with an impressive number of historical and sociological sources. The book is heavily based on the opinions of others, including scholars so, it is not only a memoir but also provides a partial history of Western marriage. What are your thoughts on Elizabeth Gilbert's works?